“As the sufferings of Christ abound in us . . . IT WAS LATE and dark in the garden when the three disciples were wakened by Jesus. Peter, James, and John probably couldn’t see that the Lord’s hair and face were dripping with sweat. As Luke described the scene, when Jesus made His most earnest prayer to His Father, great drops of sweat fell to the ground, and consequently a great deal of the Lord’s body moisture was lost and He would be greatly dehydrated. It probably wasn’t until mid-morning the next day when He was finally offered something to drink, and it wasn’t water. After Judas betrayed Him in the garden, the temple captains took hold of His arms to bind his hands and lead Him away, but couldn’t help but notice that his robe was soaked with sweat. During the mockery of the trial before the high priest, Jesus was blasphemed, mocked and ridiculed. When He answered truthfully that He was the Son of God, those closest to Him started spitting in His face. With fury and hatred, they began slapping Him in the face as hard as they could. Then they blind folded Him so He couldn’t see who was slapping Him. Feeding on their own rage, they became even more violent and began to beat Him. When He was finally led away to the governor, blood was running from His mouth and split lip, from contusions and bruises on His face, with His eyes nearly swollen shut. Although the Jews had a limit of inflicting a maximum of 40 stripes, as far as I know the Romans had no limits. His hands were untied so that the soldiers could remove His robe and tunic over His head, and then tied again, but this time to a low post where He was thrown face down over a post or stone, with His back stretched and exposed for the scourge. The scourge was a whip with multiple strips made of rope or leather with sharp stones fastened at the end of each strip. With the skin of His back stretched tight, each blow of the scourge ripped open His flesh to expose the tissue beneath, over and over and over again, until only shredded skin, with muscle, ribs and back bone lying exposed. The Lord was mocked again, but this time from the Roman Soldiers when they put a scarlet robe on Him, a robe of royalty. With a reed for a scepter and thorns for a crown, the insolent soldiers bowed the knee before Him and mocked Him saying, “Hail, King of the Jews.” They took the reed out of His hand and beat Him with it on His thorn covered head and again they spit in His face. In Jesus’ weakened state, that had begun the night before with the profuse sweating and now with open gashes and blood gushing from his wounds running down his body, the soldiers drop a heavy, wood cross on His shoulder for Him to carry through Jerusalem, to a roadside place for executing criminals outside the city. Jesus had been beaten and scourged so severely, and was so weak, that during that long walk to Golgotha, the soldiers were compelled to force Simon to carry His cross the rest of the way. When the procession of soldiers, prisoners, chief priests and onlookers came to the Place of a Skull, He was finally offered something to drink, but instead of water, they offered Him sour wine mixed with gall, probably to help deaden the pain of crucifixion, but when He tasted it, He refused it. With one hand nailed, the opposite arm was stretch to the other side of the cross to nail the other hand. Then His feet were placed one on top of the other and a nail or nails were driven through both of them. 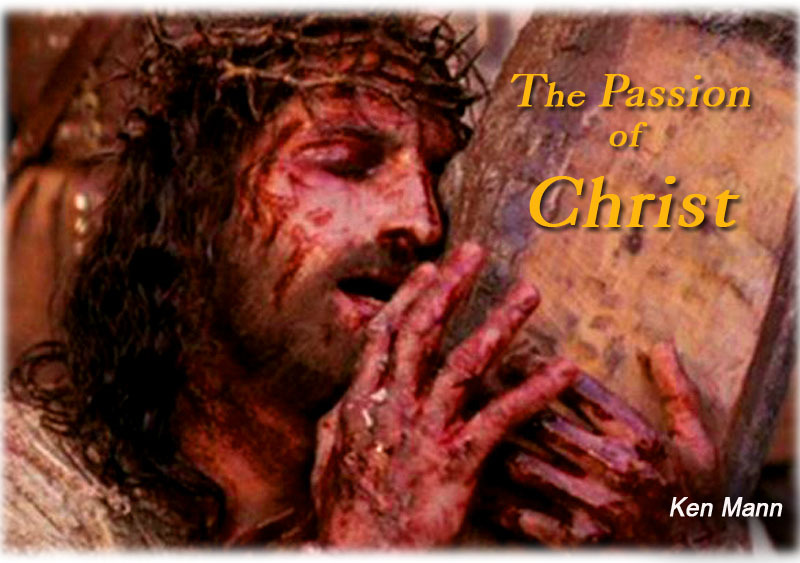 The soldiers then raised the cross with Jesus fastened to it, and dropped it into its hole. With the weight of the Lord’s body on the front, the cross had to be straightened, wedging a rock between the front of the hole and the bottom of the cross to keep it upright. Now Jesus’ full weight was supported only by the nails in His hands and feet. The Lord now had to push with His feet against the nails each time He took a breath. With His lungs filling with fluid, each breath became more painfully difficult to draw air. 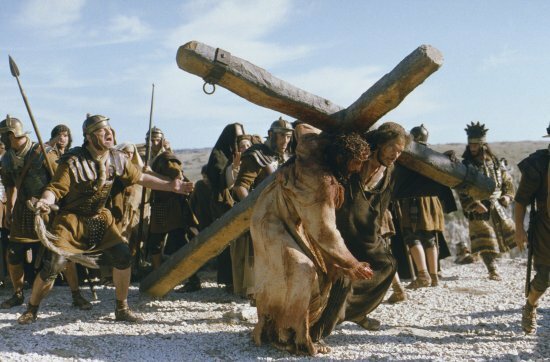 Amazingly, after all He had already been through, the beatings, scourging, and carrying a heavy cross, Jesus still had enough strength to stay alive on the cross for six, long, excruciating hours until that last moment, crying out with a loud voice, the Lord breathed His last, giving His precious life in our place. The night before, during the Feast of the Passover, Jesus broke the bread, gave it to his disciples and said, “Take, eat; this is my body. Then He took the cup, and gave thanks, and gave it to them, saying, “Drink from it, all of you. For this is My blood of the new covenant which is shed for many for the remission of sins.” As often as we eat this bread and drink this cup, we proclaim the Lord’s death until He comes.